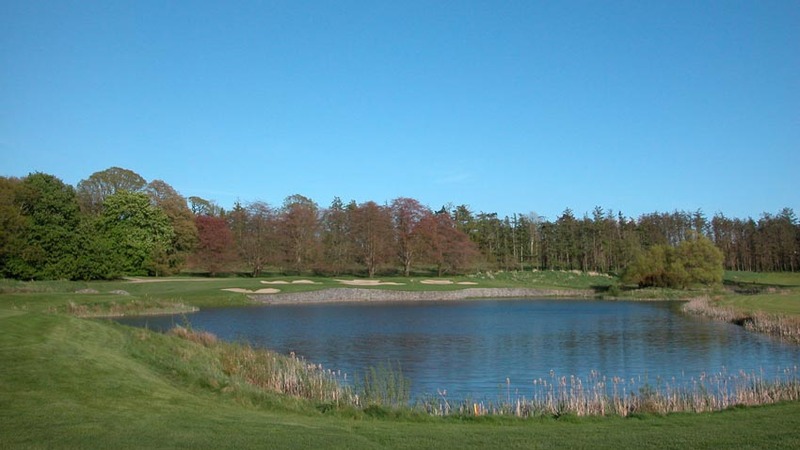 Adare Golf Club at the sumptuous Adare Manor in Ireland is one of Ireland’s finest inland golf courses, built by Robert Trent Jones in the tidy “thatched village” of Adare. 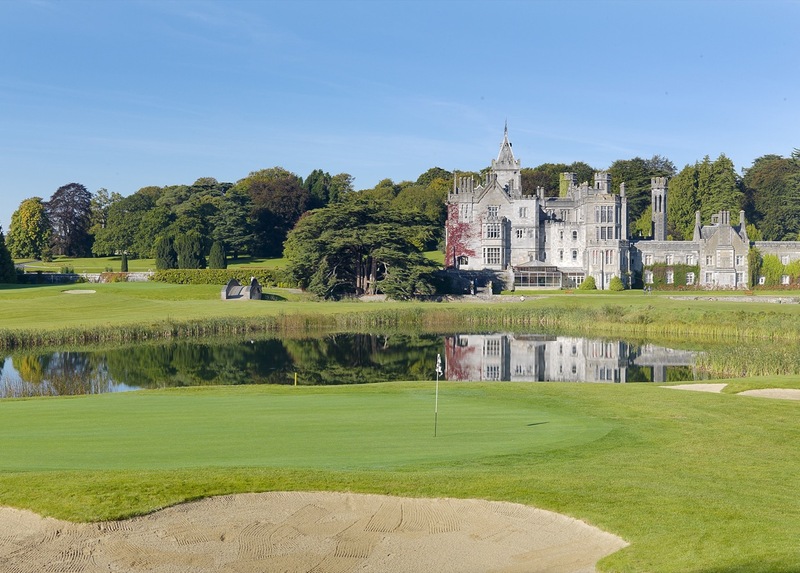 The imposing Adare Manor, one of Europe’s greatest deluxe castle resorts, along with some cathedral ruins and the Maigue River, create a beautiful and uniquely Irish setting to play golf as the course winds around the beautiful grounds. 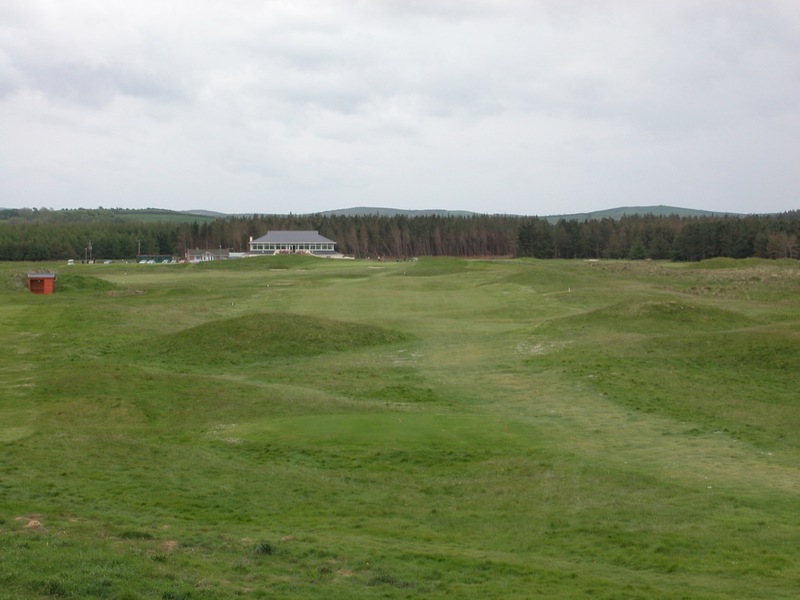 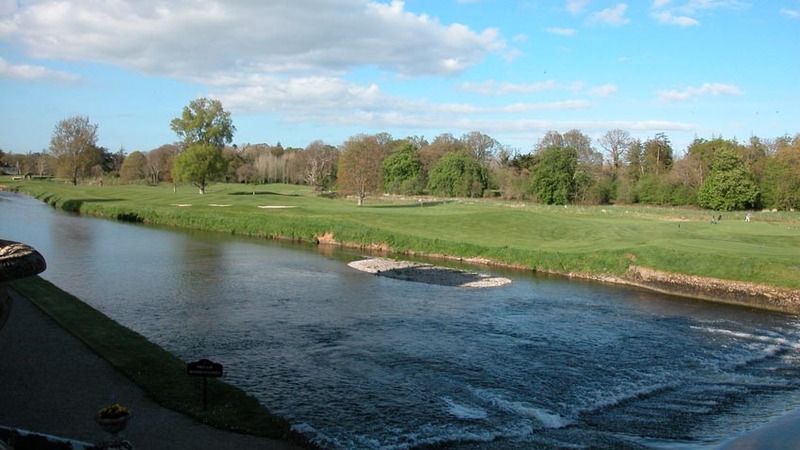 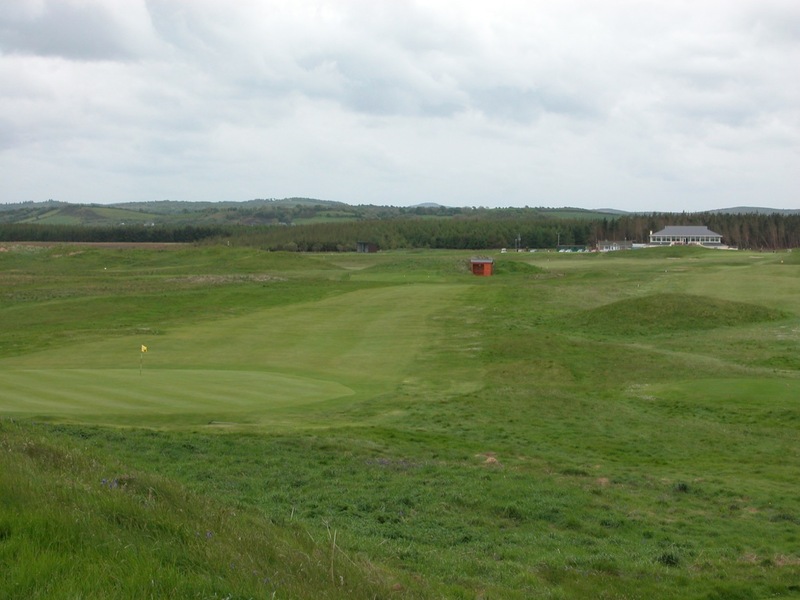 Adare Golf Club is both monstrously tough and superbly conditioned. 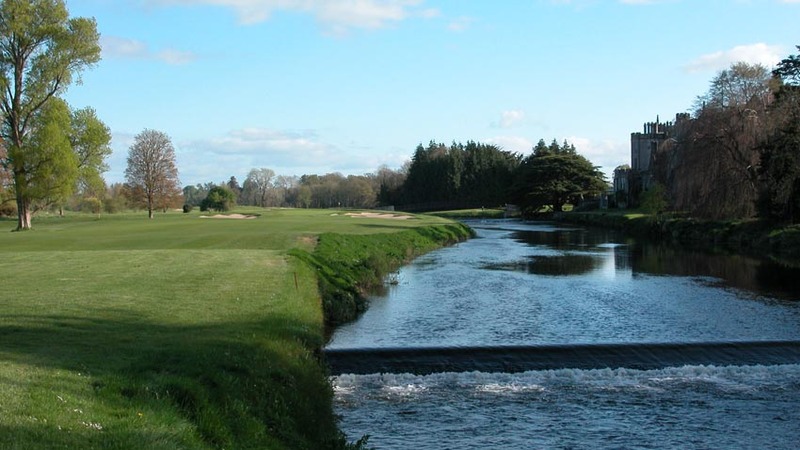 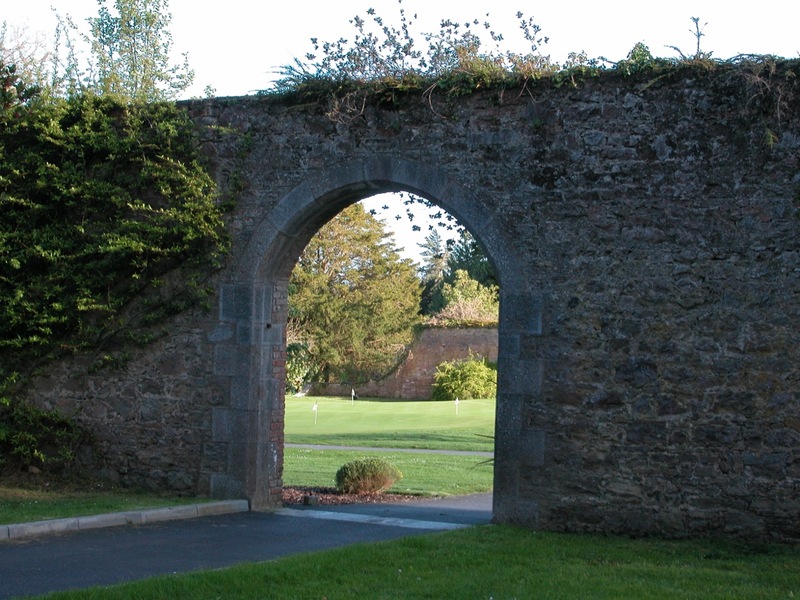 Next door is a course known to the locals as “Little Adare”, Adare Manor Golf Club, which is not to be confused with Adare Golf Club at the Manor itself! 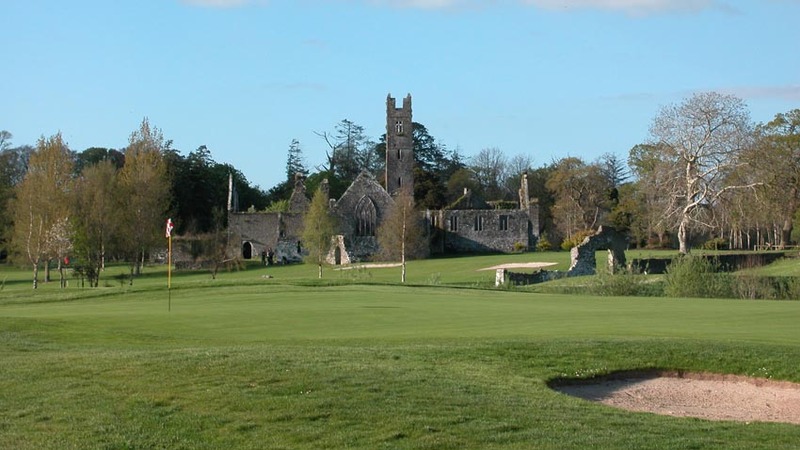 It may be tough to get one’s head around that statement so maybe the best remedy is to stay a couple of nights and play them both as though “Little Adare” is not as difficult, it plays through cemeteries and ruins and an ancient castle. 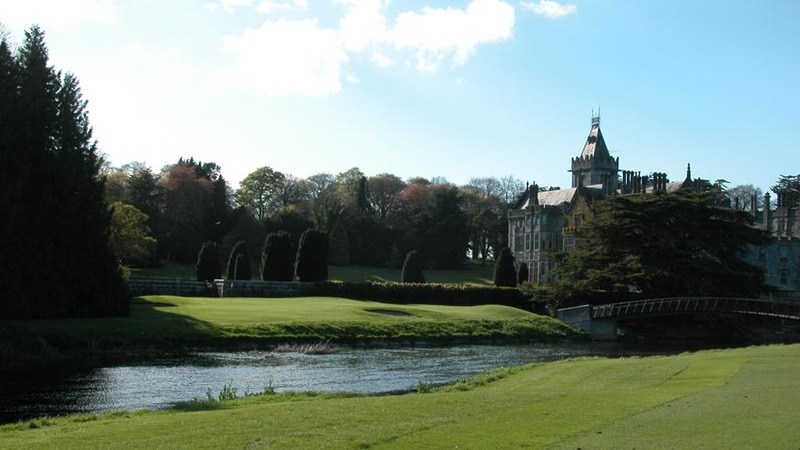 A one of a kind setting to say the least! 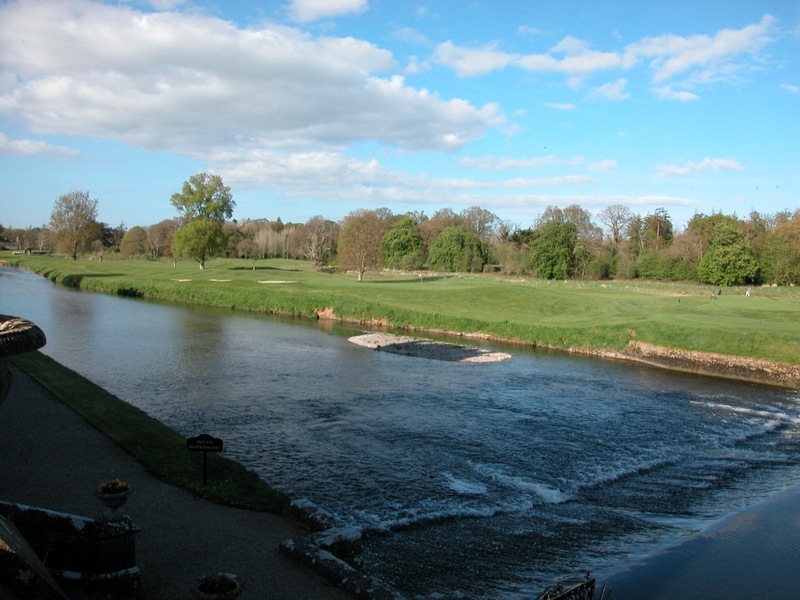 Adare Golf Club in Ireland is also home to a state-of-the-art clubhouse, with a terrific bar, a great place to have a pint or two after the round. 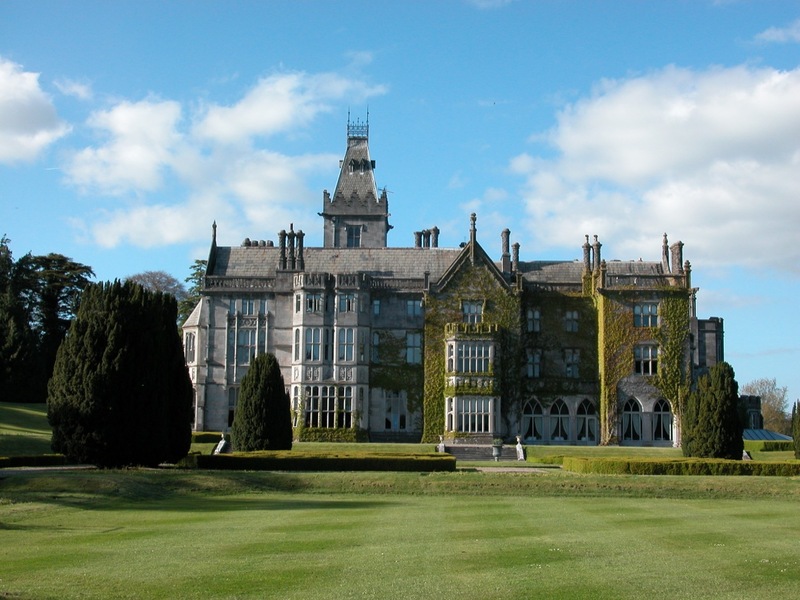 The Adare Manor is a sight to behold in its own right, an architectural masterpiece that will transport you centuries back in time. 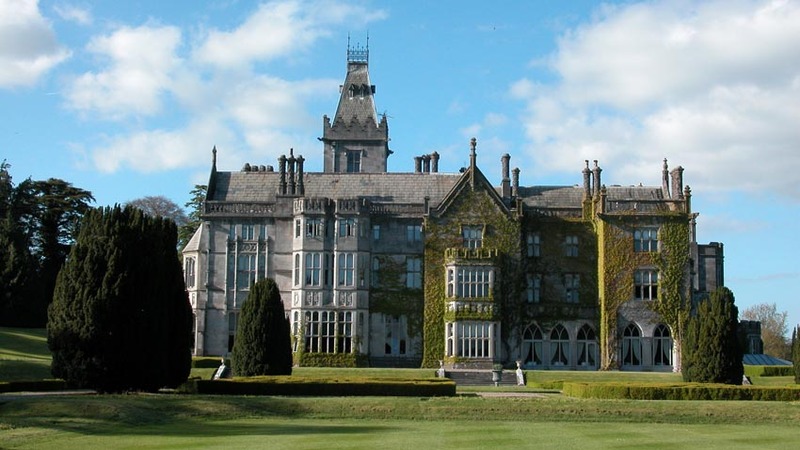 Staying at the Adare Manor is one of those true once-in-a-lifetime experiences. 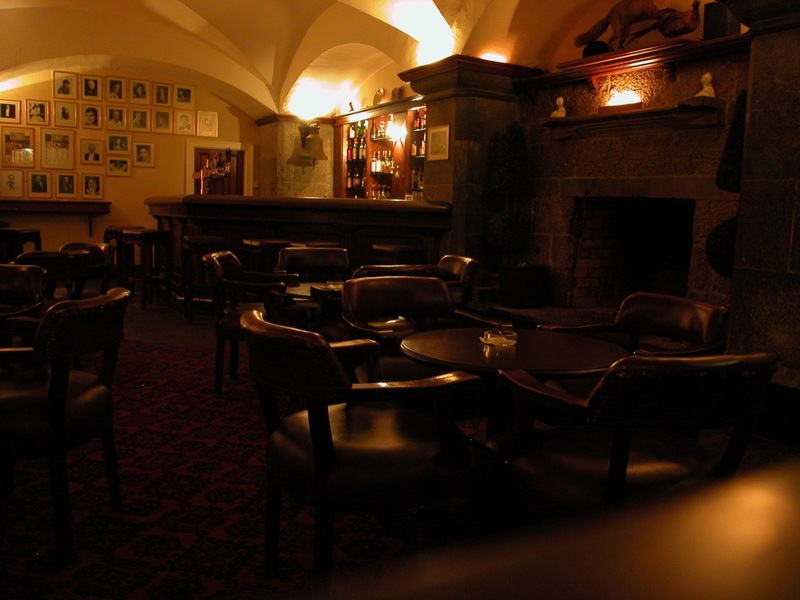 The Tack Room bar down in the dungeon, is cozy and dimly-lit with a massive log fire to warm you up in the evenings. 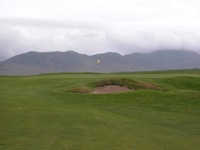 One can only hope to be sent there!